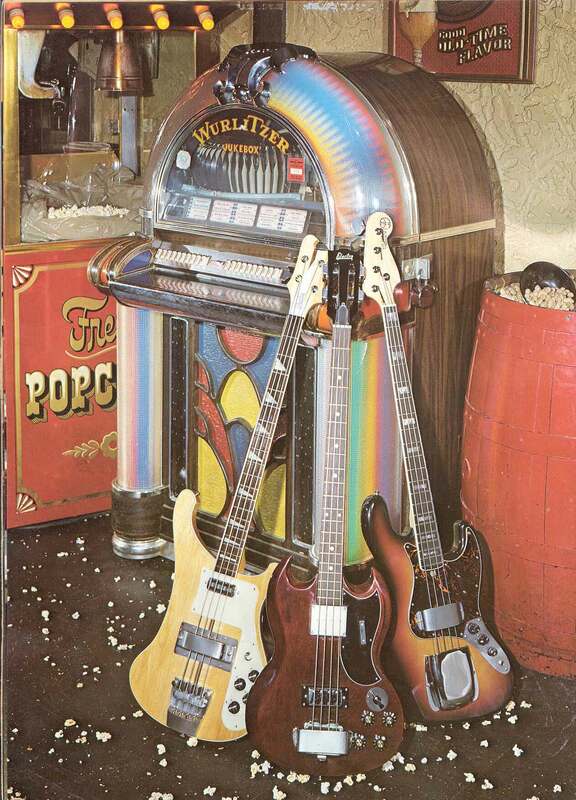 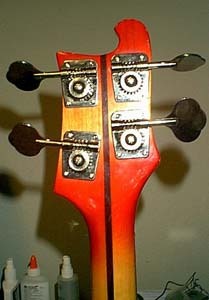 Stereo version of the 2288 Corsair bass. 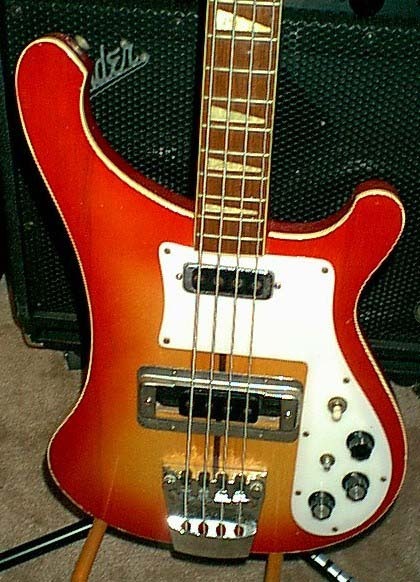 Bolt neck Rickenbacker 4001 copy, cherry sunburst finish, checkerboard binding, chrome hardware. 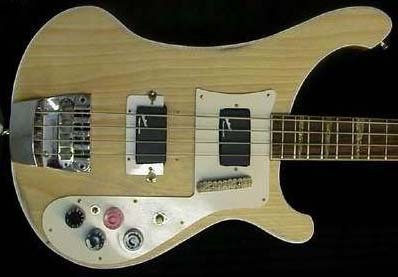 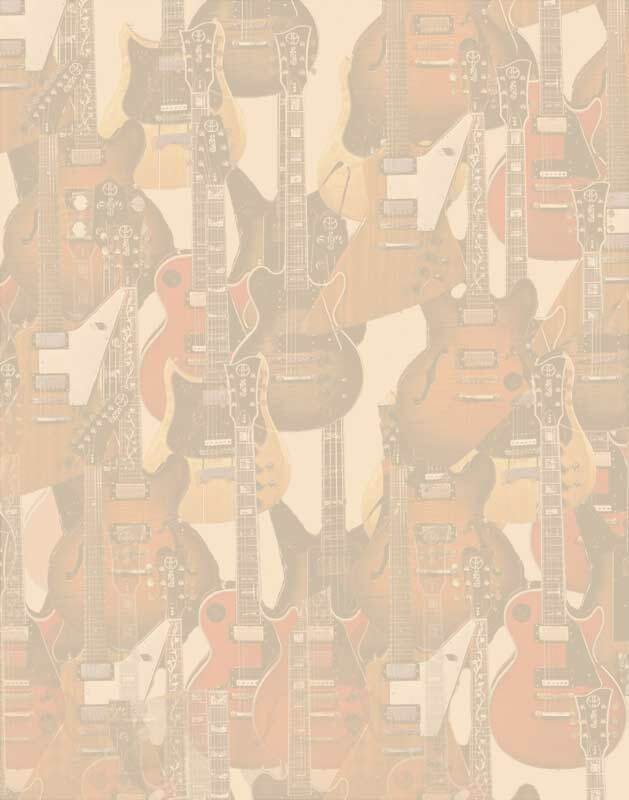 Bolt neck Rickenbacker 4001 copy, natural finish, checkerboard binding. 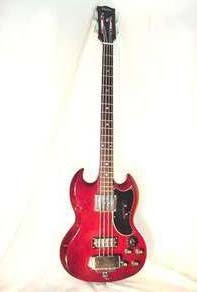 Bolt neck SG style bass with Cherry finish, slotted headstock, chrome hardware. 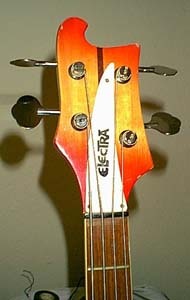 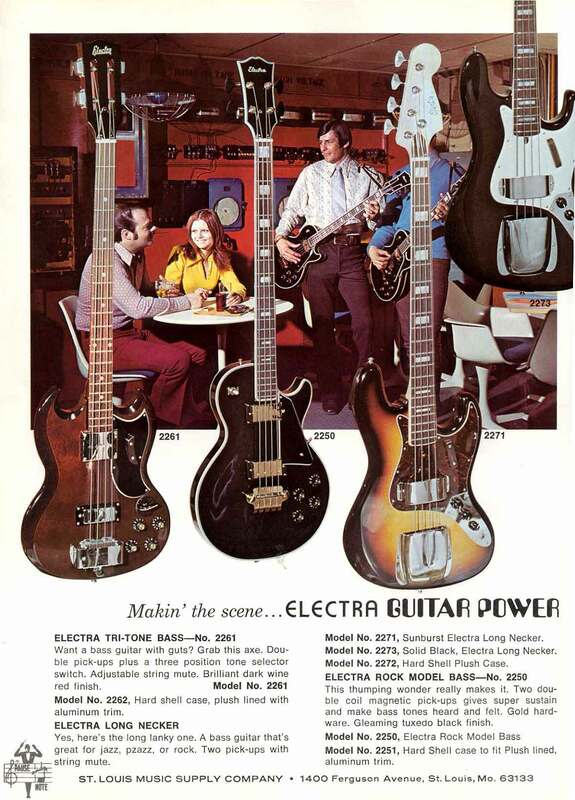 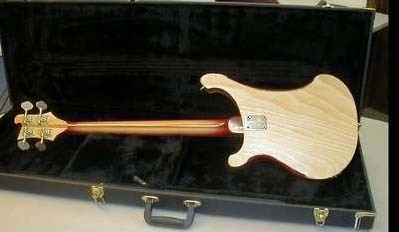 Like the 2250, this bass carries an unusual early style Electra logo not seen on many other models; it is very similar in style to the early Ibanez logo, suggesting it was certainly sourced from Hoshino and probably built by Fujigen. 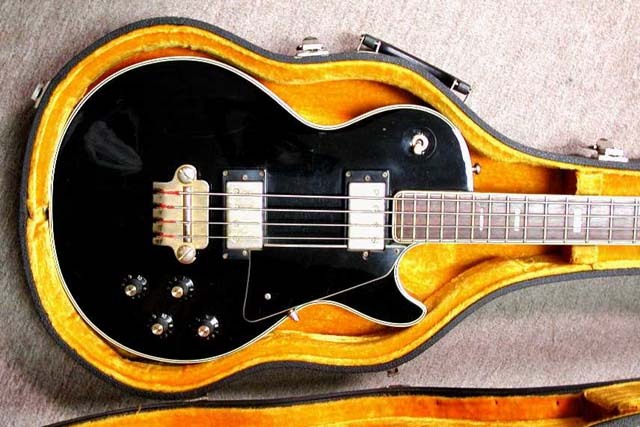 Bolt neck LP style bass, black finish, gold hardware, open book headstock. 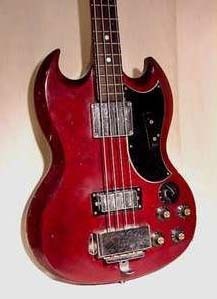 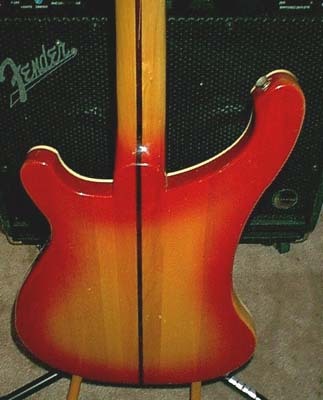 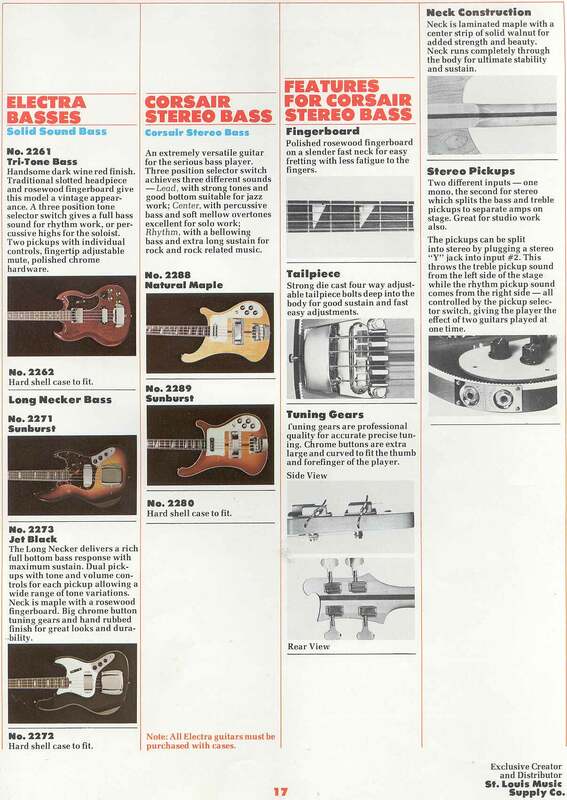 Like the 2261, this bass carries an unusual early style Electra logo not seen on many other models; it is very similar in style to the early Ibanez logo, suggesting it was certainly sourced from Hoshino and probably built by Fujigen.